We’ve just posted the fifteenth release of High Frontier. This one adds an important element to the simulation: carbon dioxide. We exhale it; plants use it for photosynthesis. Too much or too little can result in a Bad Day. The CO2 simulation includes the effects of people, buildings, and plants, including grass (which turns out to be quite significant). You start out with Earthlike levels of CO2, at around 0.04%, but if your colony is full of grass and doesn’t have many people, those CO2 levels will start dropping. This isn’t fatal, but your residents will complain about wilted plants. 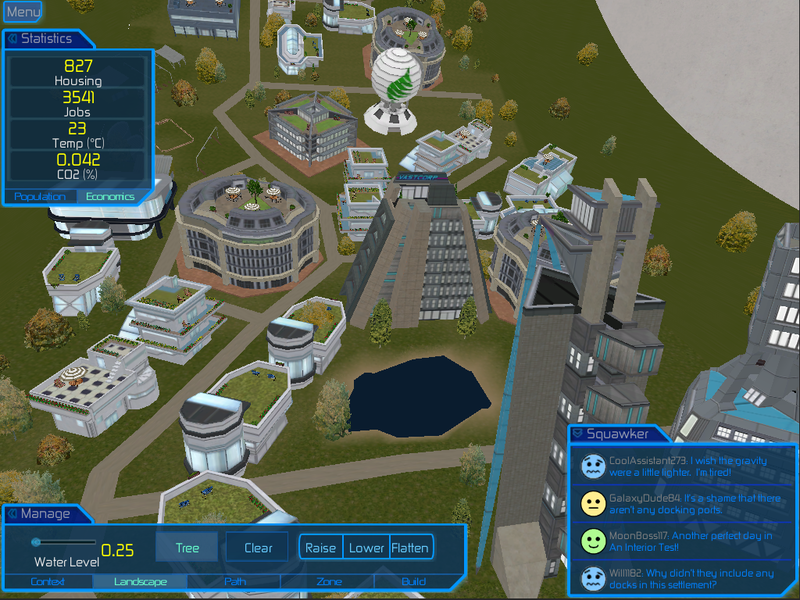 Also in this release, you’ll notice a lot of new buildings, especially in the medium- and high-density categories. Zone density matters now, so think carefully about what sort of colony you want and where you want different types of buildings. Check out the new version at the High Frontier home page, and head on over to the Forums to discuss it (or any other space-related topic that’s on your mind! ).